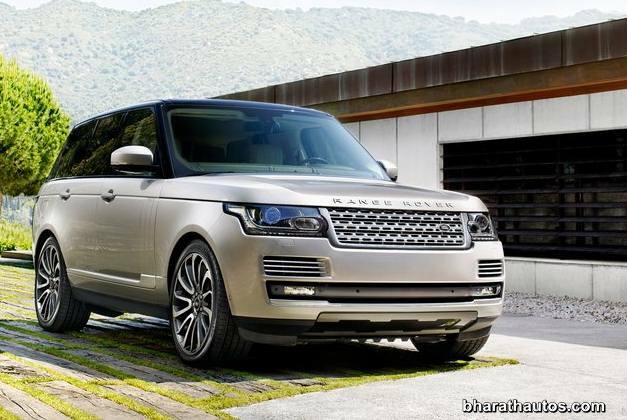 Tata Motors Land Rover has launched an all-new Range Rover in India at a starting price of Rs. 1.72 crore (Ex-showroom, Delhi). The all-new Rangie has been re-engineered to become more competitive as a genuine luxury car on-road as well as becoming more capable off-road. 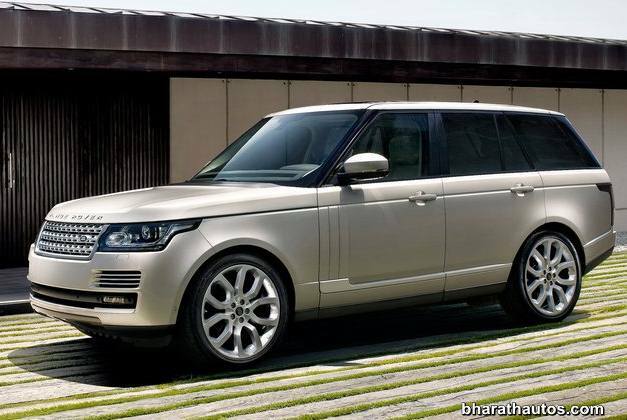 It will be manufactured at Land Rover’s plant in Solihull, UK, and in India authorized dealers will sell them as CBU’s. At the launch JLR have said, that it’s the world’s first all-aluminium monocoque and claims to be the ‘largest automotive panel in the world’. The body shell is about 420kg lighter than its previous model and it contributes to better agility, performance and fuel efficiency. Furthermore they said, the all-new fourth gen Range Rover SUV is the world’s most iconic luxury SUV. 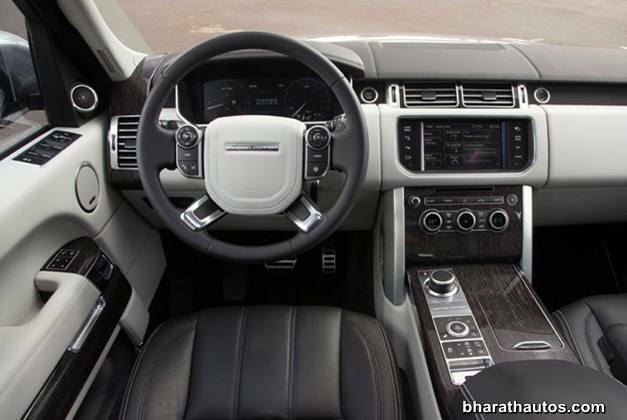 In India, the 2013 Range Rover will be available in three trims, two of 4.4-litre V8 diesel and one of 5.0-litre V8 supercharged petrol. The base variant – the V8 diesel Vogue is priced at Rs 1.72 crore. The V8 diesel top-end in Autobiography trim is priced at Rs 1.79 crore, and the supercharged petrol V8, available exclusively in Autobiography trim, is priced at Rs 1.84 crore. All prices are ex-showroom, New Delhi. 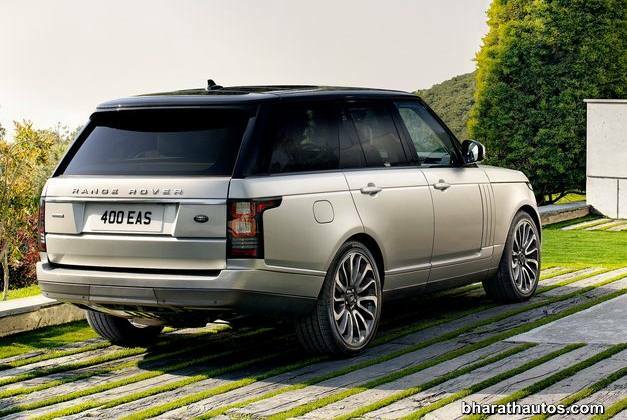 Land Rover did not launch the 3.0-litre V6 turbo diesel in India. On the inside, the new Range Rover is now even more luxurious than the outgoing model and takes cues from the Evoque. The interiors show improved cabin space for the rear passengers and the legroom for the middle row have been increased by 118mm thanks to the 40mm larger wheelbase. Ground clearance and wading depths for the SUV have been increased as well with the ground clearance going up 18mm and 200mm of increased wading depth. Recently the all new Range Rover 2012 has bagged maximum numbers in Euro NCAP crash tests and this adds another milestone in Range Rover’s kitty. In all aspects the car has been applauded by the automobile experts. This time at the Euro-NCAP crash tests, Range Rover 2012 got 91 percent for its adult occupant protection, 96 percent for the safety features, 84 percent for child occupant protection and 63 percent for pedestrian safety. Previous articlePremier Rio gets a new look, sketches leaked!